Indonesia arguably has the best geothermal resources in the world. 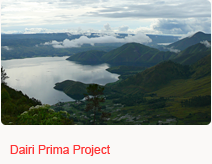 It is considered a world geothermal ‘hotspot’, with the Indonesian Government planning to increase generation by 240 per cent in the next four years to more than 4,000 megawatts – or the equivalent of about 12 large power stations. 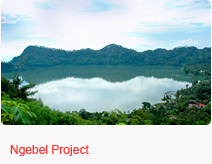 The National Geological Agency of Indonesia estimates total geothermal potential at about 27,000 megawatts, which is equivalent to approximately 50 large coal-fired power stations. As part of its carbon strategy, the Indonesian Government has a guaranteed feed-in tariff of US$97 per megawatt hour, plus carbon credits, to geothermal energy generators – providing investment certainty for renewable energy projects that is not currently available in Australia. 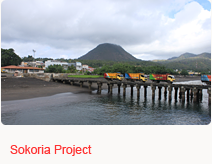 Panax has several projects in Indonesia in joint ventures with some of Indonesia largest companies. Panax has secured a significant agreement with PT Bakrie Power, part of the listed Bakrie Group, to explore, develop and generate power from geothermal resources across Indonesia. 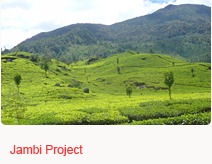 Panax has secured participation in what can be described as a historic wave of geothermal development in Indonesia. There is strong local government and community support for geothermal projects throughout the country.